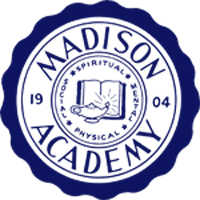 On Sunday December 14, The Madison Academy Acros hosted a unique event at the Madison Academy Gymnasium. Normally the gym is reserved for sporting events, school functions and annually the Acros hold their home show there. But this event was designed to bring Christmas cheer and to share the love of Jesus to some who may have little reason to celebrate this holiday season. A group of 36 ladies from the Nashville Rescue Mission were invited to a special banquet and show. The bus picked them up and returned them to the mission. The gym was decorated with Christmas lights and a tree loaded with presents. Tables were set with holiday ware and a cake was displayed that said Happy Holidays Ladies. The hallway was lit with rows of Christmas lights as these daughters of the King entered our Grand Banquet Hall. Waldemar Wensell started our program with Christmas carols while the ladies were being served food cooked by Vicki Anderson along with donations from Olive Garden, Publix and Nourish. Thomas Erickson came and did a juggling performance and the show finished with several routines by the Acros gymnastics team which included an anti-drug skit and a short talk about Luke 14 about “a certain man” who held a banquet. We ended the evening passing out gifts which they didn’t expect. The purpose of the evening was to invite homeless ladies to a banquet and convey to them that they didn’t have to earn or buy a ticket to attend, they just had to accept the invitation and come. One day God would have a great banquet waiting for them and all they have to do is accept the invitation and come and God will feed their hunger and lavish gifts upon them. The other purpose is to get our students involved in service and to experience the joy that comes from helping those that can’t repay you. The Acros would like to experience more of these ministry moments but even with the donations of food an event like this still costs time and effort and I would like to personally thank all those that helped by donating, decorating, setting up, cooking, and cleaning. The bus ride back to the shelter was filled with gratitude, joy and tears. Some said to me that they haven’t received a Christmas present in years and that this was the best Christmas that they could remember. I hope that the Acros can make this a yearly tradition and that next year we bring two or three bus loads!